With the president mired in controversy over his relations with Gold Star families, the White House says, ‘The check has been sent’ to survivors of Sgt. Dillon Baldridge. WASHINGTON — President Trump, in a personal phone call to a grieving military father, offered him $25,000 and said he would direct his staff to establish an online fundraiser for the family, but neither happened, the father said. Chris Baldridge, the father of Army Sgt. Dillon Baldridge, said that Trump called him at his home in Zebulon, North Carolina, a few weeks after his 22-year-old son and two fellow soldiers were gunned down by an Afghan police officer on June 10. Their phone conversation lasted about 15 minutes, Baldridge said, and centered for a time on the father’s struggle with the manner in which his son was killed – shot by someone he was training. Trump’s offer of $25,000 adds another dimension to his relations with Gold Star families and the disclosure follows questions about how often the president has called or written to the parents or spouses of those killed. The Washington Post contacted the White House about Baldridge’s account on Wednesday morning. Officials declined to discuss the events in detail. It was 18 months before then-President Barack Obama fulfilled a similar promise made to the family of Kayla Mueller, who was killed in 2015 while she was held captive by the Islamic State in Syria. Obama’s undisclosed sum, for a charity set up in Mueller’s name, arrived only after a report by ABC News called attention to what the president later called an oversight. Trump said this week that he has “called every family of somebody that’s died, and it’s the hardest call to make.” At least 20 Americans have been killed in action since he became commander in chief in January. The Washington Post interviewed the families of 13. About half had received phone calls, they said. The others said they had not heard from the president. In his call with Trump, Baldridge, a construction worker, expressed frustration with the military’s survivor benefits program. Because his ex-wife was listed as their son’s beneficiary, she was expected to receive the Pentagon’s $100,000 death gratuity – even though “I can barely rub two nickels together,” he told Trump. The president’s response shocked him. The president has been on the defensive since details emerged of his phone call Tuesday with the widow of Sgt. 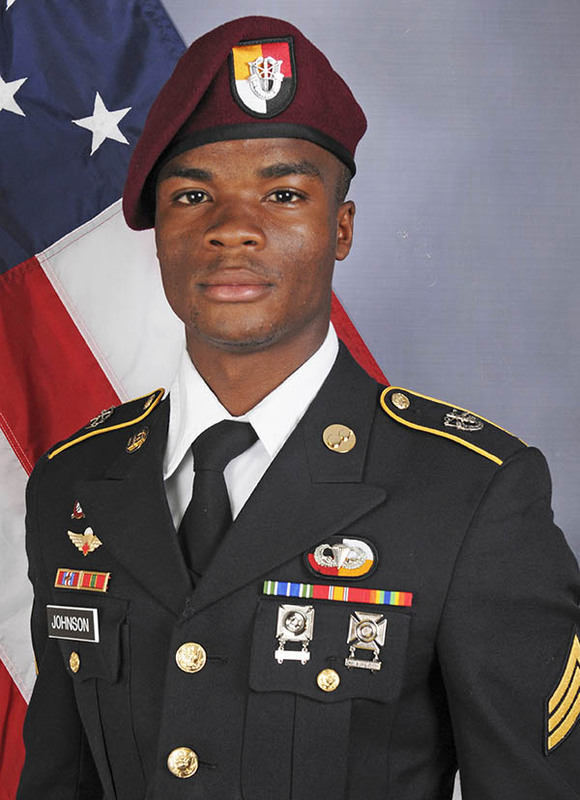 La David T. Johnson, who was killed Oct. 4 along with three other U.S. soldiers in Niger. After not addressing the incident for 12 days, Trump on Monday falsely claimed that previous presidents never or rarely called the families of fallen service members. In fact, they did so regularly. White House officials circulated a statement of sympathy for the soldiers killed in Niger after the attack, but it was never released, Politico reported Wednesday. It is not clear why the statement was never released, but it was prepared when the Pentagon had said only that three soldiers were killed and before officials disclosed that a fourth soldier, Johnson, also was killed. His body was recovered Oct. 6, two days after the attack. 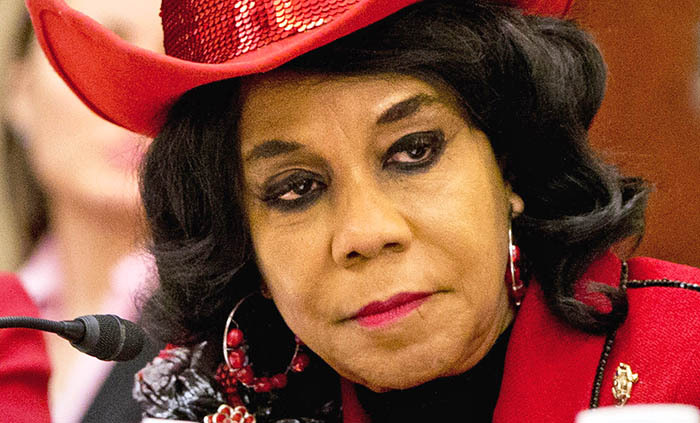 Rep. Frederica Wilson, D-Fla., said Trump called Johnson’s widow, Myeshia Johnson, on Tuesday and said her husband “knew what he was signing up for, but I guess it hurts anyway.” Wilson was riding in a limousine with the widow and said she heard the conversation on speakerphone. Attempts to reach Myeshia Johnson on Wednesday were unsuccessful. Sgt. La David Johnson was among the American soldiers killed in an ambush in Niger. White House press secretary Sarah Huckabee Sanders defended the president, saying in a news briefing that Trump was “completely respectful” during the call. Several White House officials, including Chief of Staff John Kelly, were in the room at the time, she said. In all, seven Gold Star families contacted by The Post said they have had phone conversations with Trump. Most said they appreciated the gesture. Four other families said they have not received a call and were upset. One said Trump had not called but that they knew the late soldier would not want his death politicized. An additional family said it had corresponded with the White House but declined to elaborate. The Associated Press reached one other family, that of Army Spec. Etienne Murphy, 22. His mother said she received neither a call nor a letter from the president. Baldridge said that after the president made his $25,000 offer, he joked with Trump that he would bail him out if he got arrested for helping. The White House has done nothing else other than send a condolence letter from Trump, the father said. The experiences of other Gold Star families were more typical. The family of Sgt. Cameron H. Thomas, a 23-year-old Army Ranger killed April 27 in a raid on the Islamic State in Afghanistan, met with Vice President Mike Pence at Dover Air Force Base in Delaware as the soldier’s casket arrived from overseas. They had a 20-minute call with Trump about two weeks later, said Thomas’ father, Andre. The president then spoke about his work in office and “the strides that he’s made in the short time he’d been president,” Thomas said. William Lee, 40, said his entire family spoke by phone with Trump after his brother, Army 1st Lt. Weston Lee, 25, was killed in Mosul, Iraq, on April 29. “He was very cordial and very nice,” Lee said, of the call, which he said lasted about five or six minutes. Lee said the president spoke to them about “how impressive my brother was, how he had read the reports, reading everything about Weston, and he could tell how amazing he was. And talking to us, he could tell how strong we were and how strong he must have been. We were all pretty devastated. “It meant something, the leader of our nation calling us and showing the honor and respect to my brother that I feel my brother earned,” Lee said, his voice cracking. Quinn Butler, whose 27-year-old brother, Aaron, was killed in August by an explosion in Afghanistan, said that their parents received numerous letters from generals and other leaders, but no call or letter from Trump. Staff Sgt. Aaron Butler, a Special Forces soldier, was very supportive of Trump and appreciative for what he has done for the military, his brother said. Quinn Butler said his brother believed that Trump helped initiate some changes that have enabled commanders to make more progress against the militants in Afghanistan. Butler said that he was surprised that his parents did not receive a call from Trump, considering his brother was a “very elite soldier, a soldier who had given everything.” But he said that the soldier would not want his death politicized. “I think that Aaron would be very upset if anything was manipulated to show that he didn’t support Trump and that he wasn’t appreciative of the things that he did do, because he was,” the brother said. Euvince Brooks’ son, Sgt. Roshain E. Brooks, 30, was killed Aug. 13 in Iraq. He has not heard from the White House. The president’s claim this week that he had called every military family to lose a son or daughter only upset the Brooks family more. Brooks said that after watching the news on Tuesday night he wanted to set up a Twitter account to try to get the president’s attention.